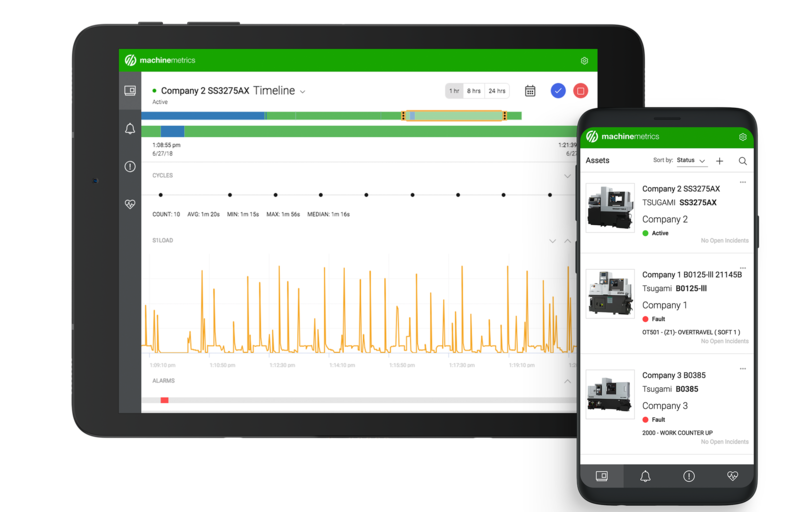 MachineMetrics Service is an Industrial IoT application that remotely monitors machine assets in the field and at customer sites in real-time for improved equipment uptime, and reduced service costs. Provides AI and predictive maintenance that is designed specifically for your equipment. What if you could diagnose and resolve problems for your customers without ever leaving your office? When customers require after-sales service, they expect their problem to be solved with minimum delay, too many service calls require expensive and time consuming on-site visits. Equipment providers require remote access to monitor and assist with user operations to troubleshoot problems, resolve service events and monitor preventative maintenance tasks, all without leaving their office. MachineMetrics Service provides service teams a chance to diagnose and resolve machine problems without the necessity of an on-site visit. Gain insight into customers’ equipment health and condition with historical machine data. Identify new service opportunities with analytics and reporting. Predict and deliver early warning of potential equipment failures and highlight elevated risk areas that lead to machine downtime. Determine and take preventative action before it impacts a customer’s machine performance. Give your customers the same remote monitoring benefits and improve customer satisfaction. Install the small MachineMetrics edge device that connects to the machine's PLC and any additional sensors into the electrical cabinet of your machine. 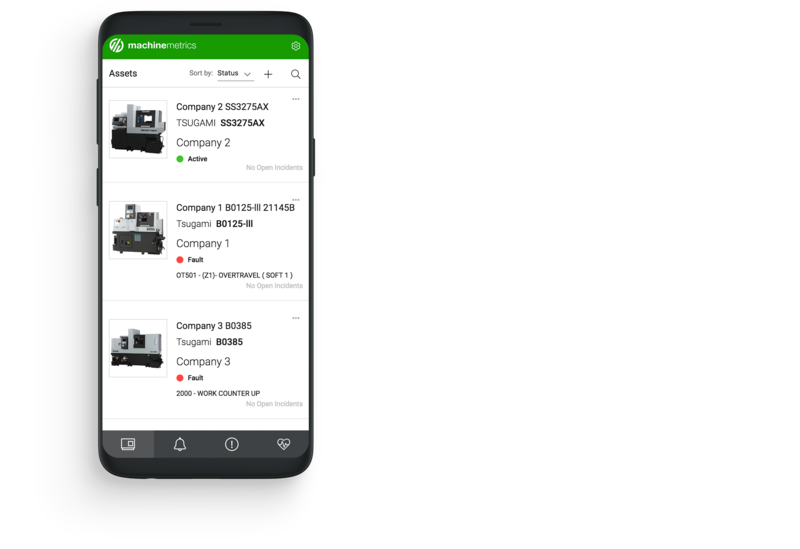 Simply add the device to your list of machine assets, with the location being your customer. Once the customer receives the machine, and powers it on, it will show on your list of assets. Clicking on the asset allows you to assign the machine to the customer, giving them the same powerful benefits of remote monitoring. So while service teams are focusing on addressing issues that may immediately impact the customer, MachineMetrics is keeping an eye on big picture issues that benefit everyone. We’re helping your company develop standards to apply to every specific machine type sold. 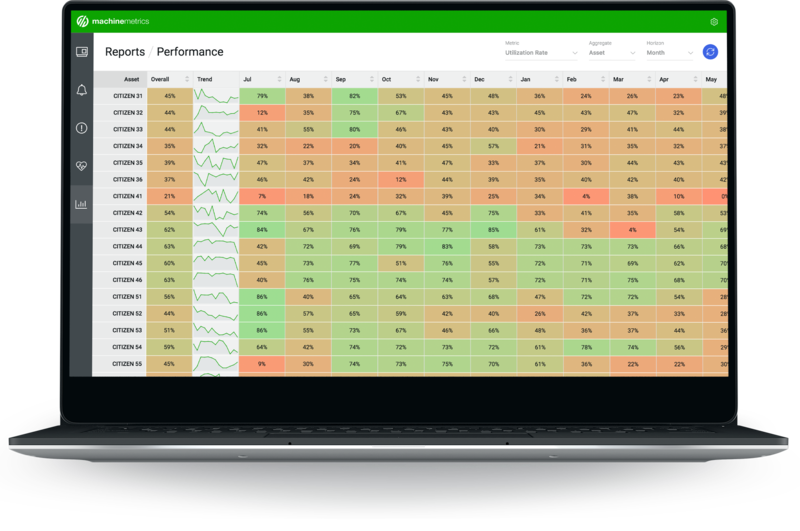 View asset utilization by hour, shift, day, week or month to view trends and uncover opportunities for improvements. Customers can choose which data items are viewable by your service teams offering comfort and security. This historical data can be accessed and exported at any time. 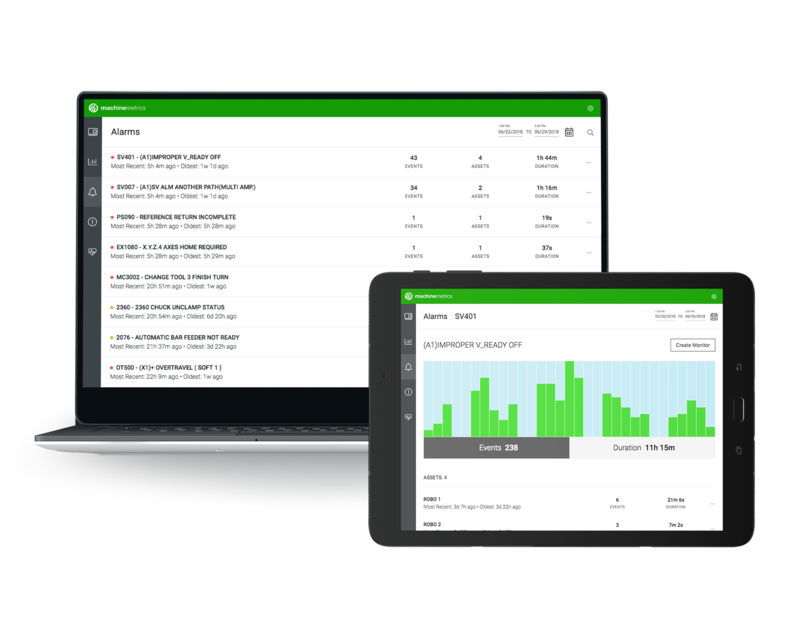 Real-time data enables your service staff to provide remote support, reducing warranty costs. 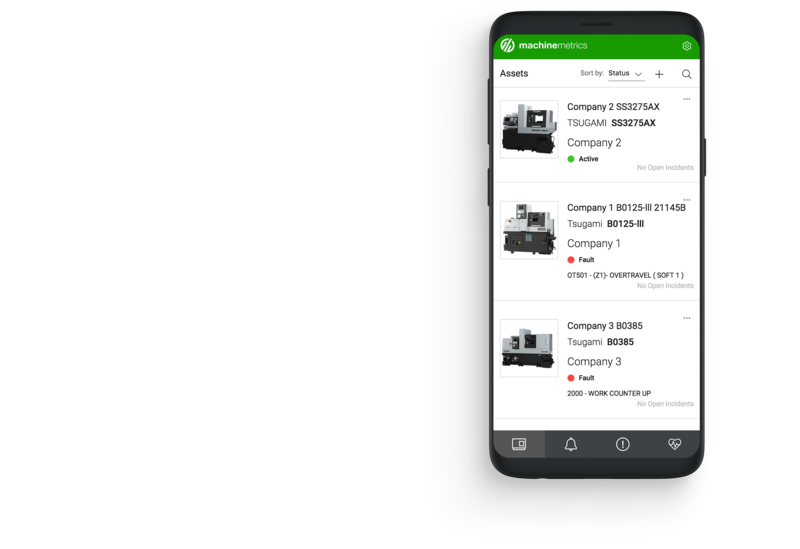 Share data from equipment assets with your distributors as well as your customers, all managed in one central location. Distributors receive the same improved service capabilities. 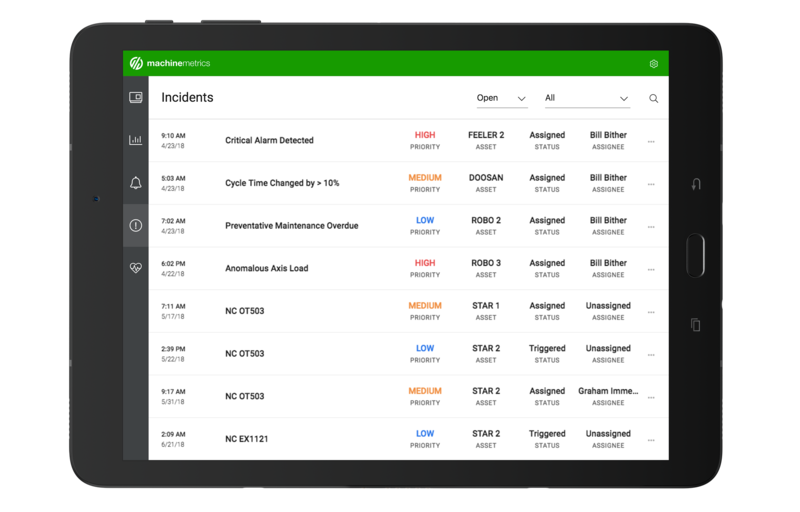 Create, manage, and deploy preventative maintenance schedules that are tied to calendar time, usage time, or initiated from machine conditions. 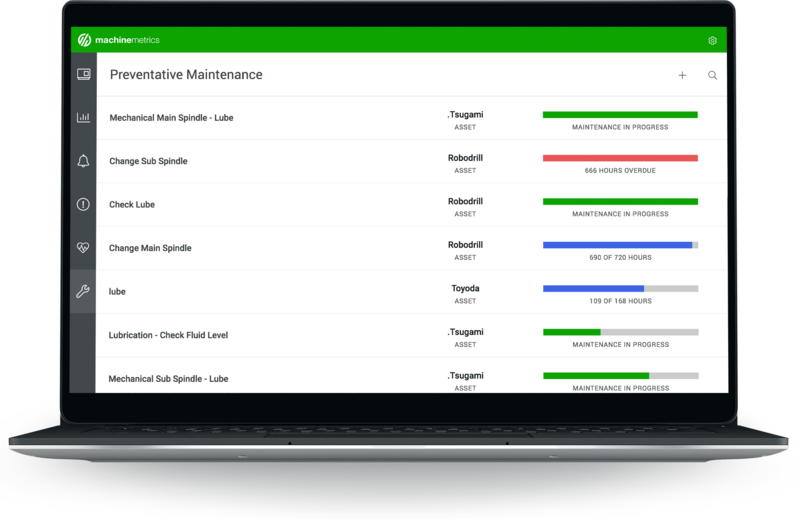 Assign maintenance tasks through a workflow, and keep track of your customers maintenance to better plan inventory and service needs. 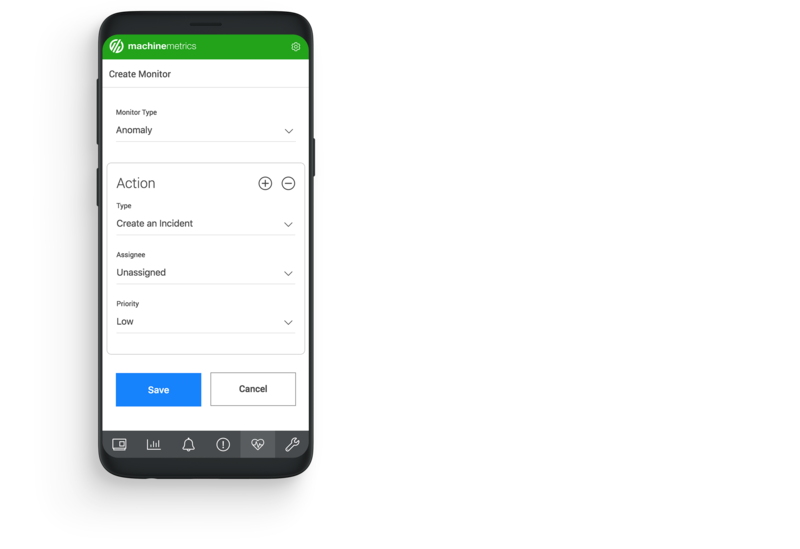 A rules engine is provided for deploying monitors based on machine condition data and patent pending advanced machine learning algorithms can be deployed for detecting anomalous behavior. 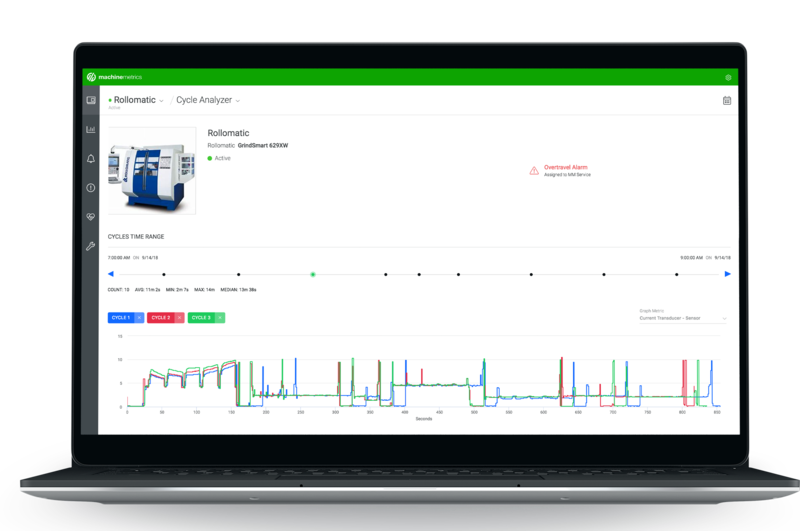 Predictive maintenance algorithms help determine the condition of in-service machines in order to predict when maintenance should be performed. 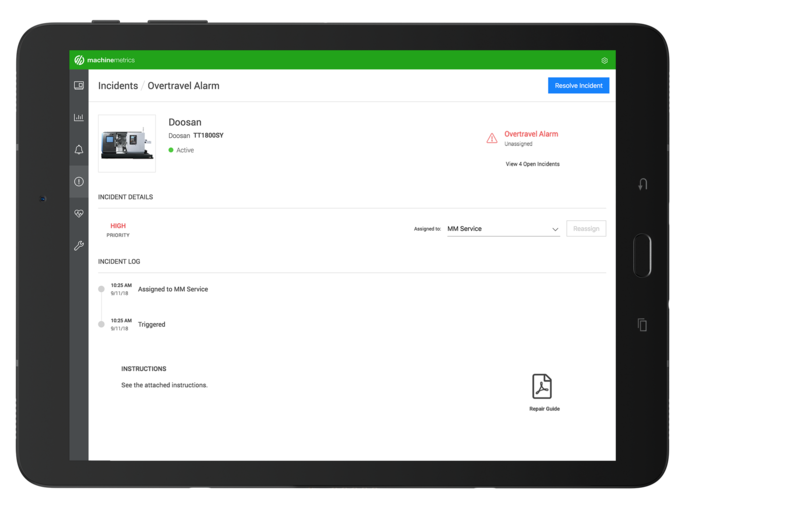 Alerts are sent to the right person at the right time so corrective action can be taken. Monitor spindle load or any other analog metric over the course of a part cycle. Multiple cycles from any point in time can be overlayed over each other to analyze discrepancies or changes over time. Empower your service team by eliminating the necessity for on-site machine service and maintenance. Detect new service opportunities and diagnose asset performance issues remotely. Business Manager Online Services, SECO Tools. 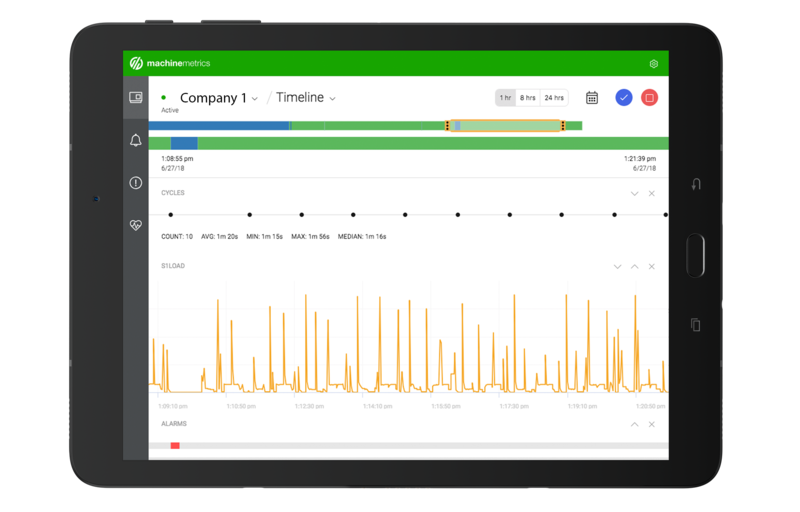 Get started with machine monitoring and analytics today.